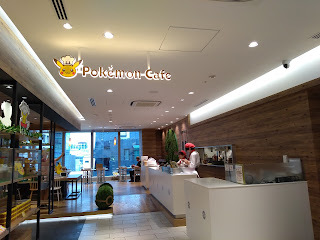 This year a new and permanent Pokémon Cafe opened in Nihonbashi (Tokyo) in the Takashiyama east Building (5th Floor). 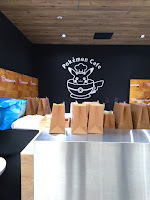 Pokémon already hosted several pop up cafes(limited time) in the last years. But due to conflicting time schedules I never had the chance to visit one. The Pokémon Cafe in Nihonbashi was opened this year with a new Pokémon center, which is directly next to the café. 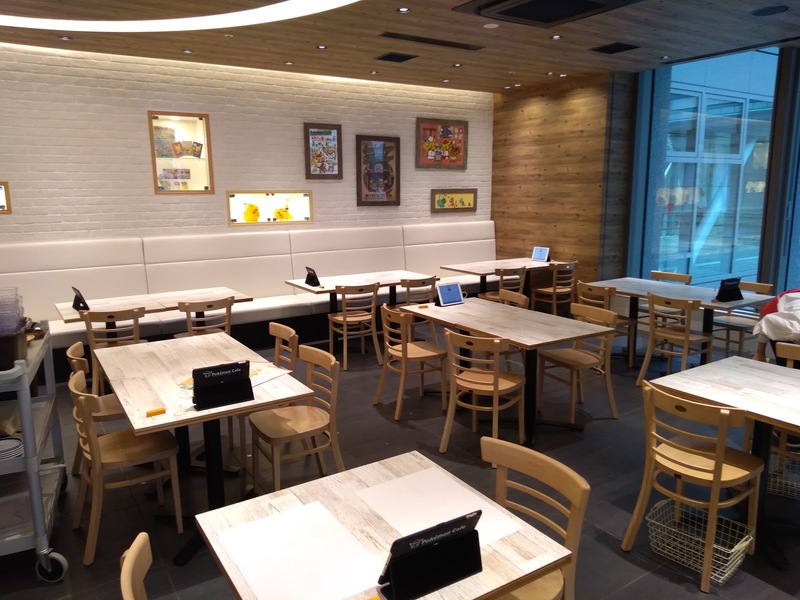 If you want to get a place in the café, you have to reserve online beforehand or hope to get a free seat of someone who canceled or didn’t showed up last minute. You can reserve 31 days in advance. The slots are open at 6 pm (Japanese time). If you are a bigger group I would recommend you to book early. You can cancel the table for free a day before till 10 pm (by phone!). They have A-C seats and D seats. D Seats are the seats at the counter (long table in the middle). If you are alone you have to choose a D Seat, if you are a group from 2-4 persons, you can choose any other seat. For more than 4 people you have to reserve 2 tables. A Seats are directly at the window and B and C seats are located in the inner seating area. 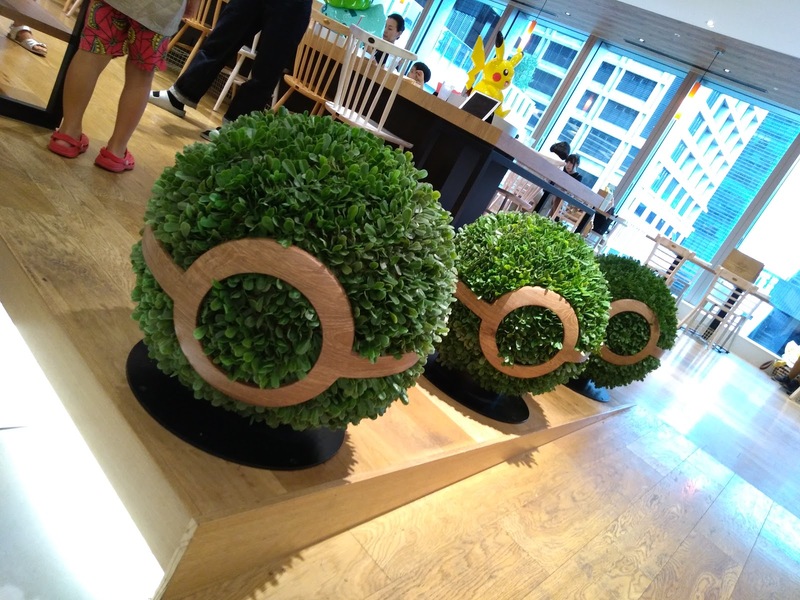 We booked some A seats to get a better view of the whole café. 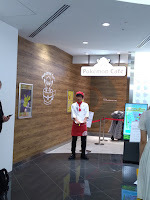 When you arrive at the entrance of the café, there are 2 lines. 1 for the people who have reserved (you just line up there 10-15 minutes before your reserved slot) and another line for people who try to get a free spot without reservation. 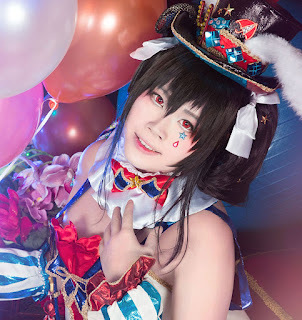 Starting from a certain time you can get a slot for a certain time of the same day. You might line up at 3 pm for a slot at 5 pm. 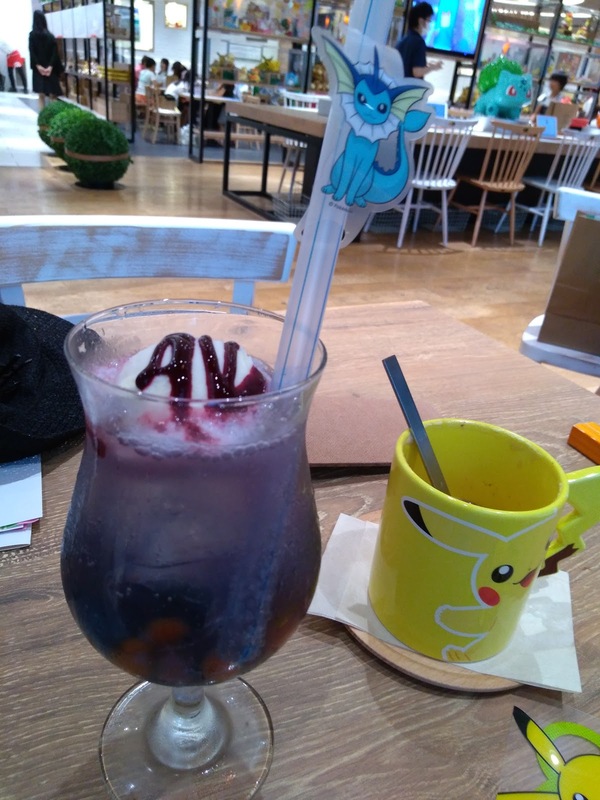 It is really inconvenient and the café is super popular so I really would recommend to reserve. We just lined up and a staff member got us to our seats (you just have to tell them your reservation name). 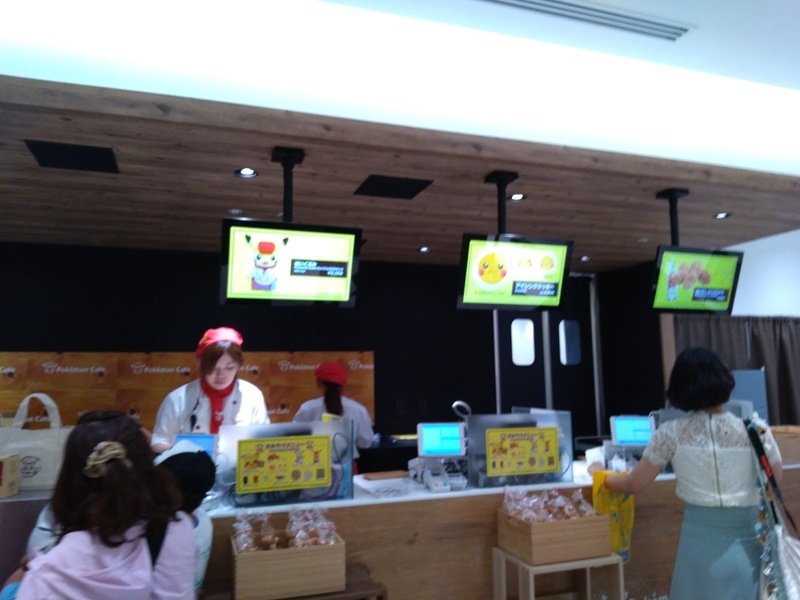 You have 90 min time and can order everything through an iPad. 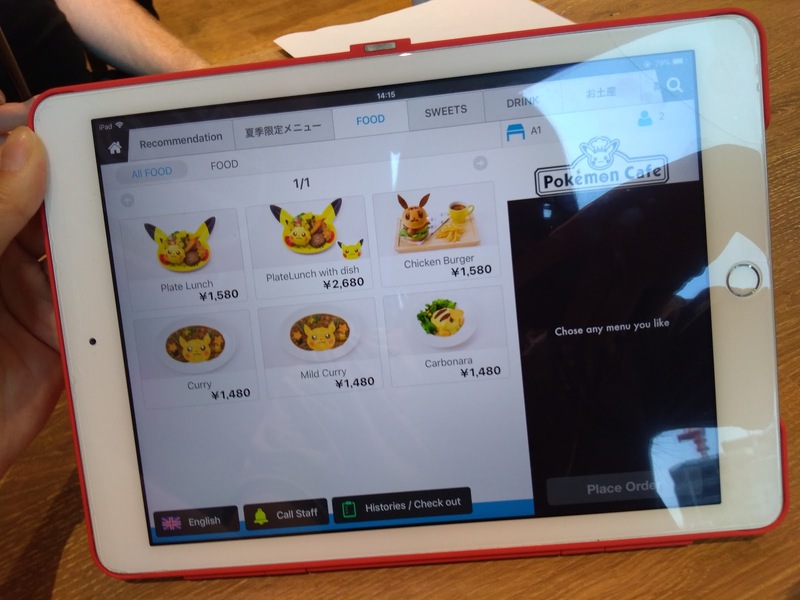 The iPad provides an English version of the menu, so it is pretty easy even for foreigners to order tasty Pokémon stuff. 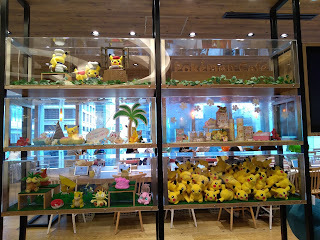 You are allowed to run around and take pictures freely, which is pretty uncommon for theme cafes in Japan. 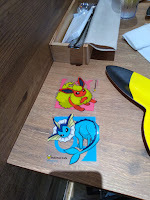 For a certain amount of orders you can win coasters. The Staff walks from table to table and you just choose you favorite Pikachu. 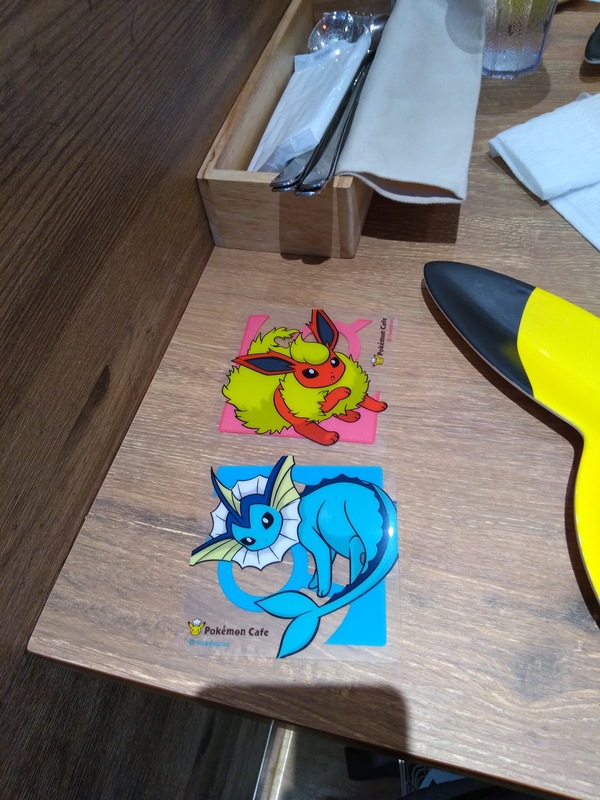 Randomly you will get a certain coaster. 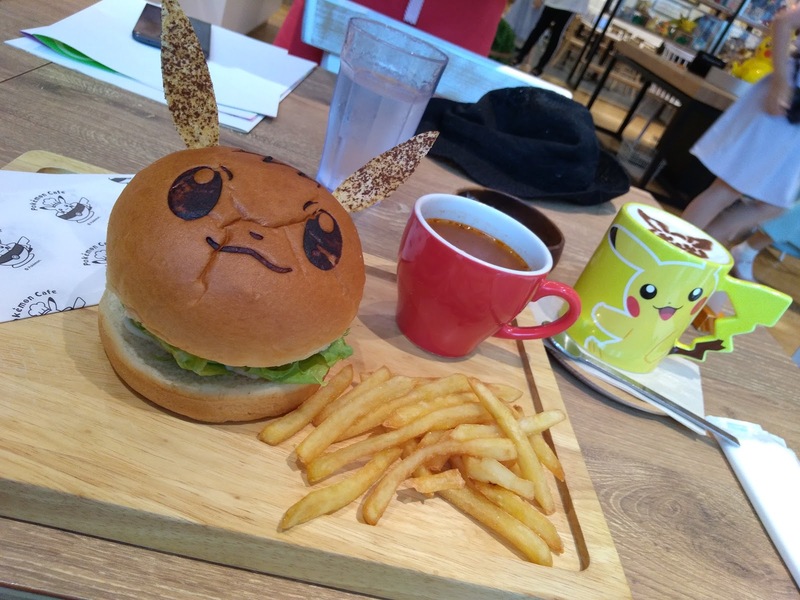 The food is real Instagram material and super cute and beautiful. 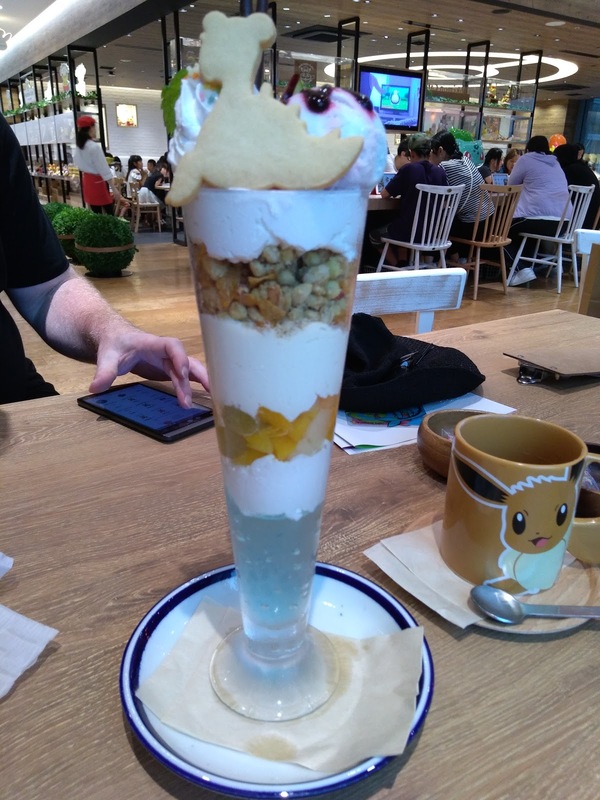 Nearly a waste to eat it. They have dessert, main dishes, drinks and you also can order exclusive souvenirs from the Café. With the food you can also order the plate or the cup for an extra 1.000 Yen. But no worries, they will get you a new and clean one at the check out. 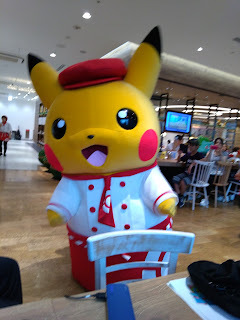 At every slot Pikachu will come over for a small dance and photo session. The mascot will dance for you and visit every table for a short picture and "meet and greet". It was super super cute. After finishing you just go to the cashier and the exit and pay. They also hand you the plates or cups, in case you ordered some. 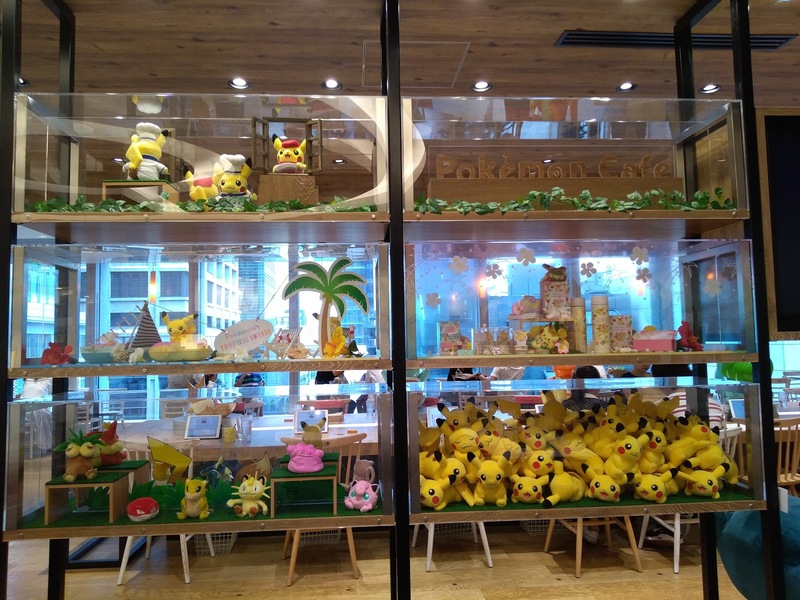 At the opposite of the cashier you can buy more souvenirs, which are only available at this Pokémon café. 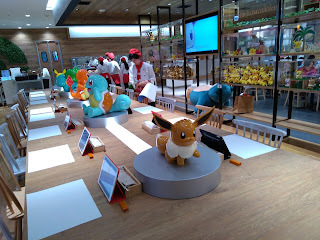 I really loved this experience and if you are a Pokémon fan this is definitely a must go if you might visit Tokyo. The staff is accustomed to foreigners, which makes the visit for English speaking visitors pretty easy. 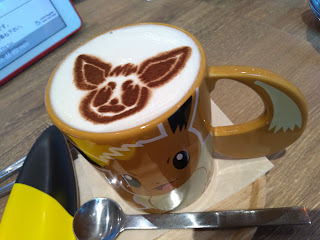 Unlike to other cafes you are allowed to make pictures, which I really appreciated. 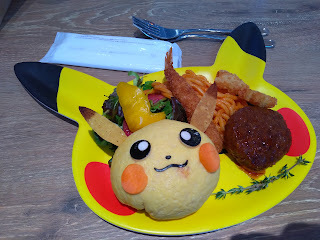 I really loved how the food looks and loved Pikachu’s small visit (it was really damn cute…). 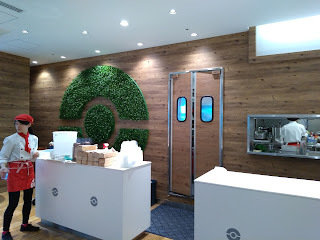 The food is a bit pricy and not the tastiest but still the atmosphere and experience was amazing. If you are tight on budget just go there for a drink (btw 1 order per person is required) and enjoy the atmosphere.